Earbuds: http://shop.steelseries.com/us/index.php/audio-us/steelseries-siberia-in-ear-headset.html (or the version without mic for 10 bucks less) How good is the mic quality on these? All the reviews I can find say that it’s actually excellent audio quality. What other earbuds should I consider. 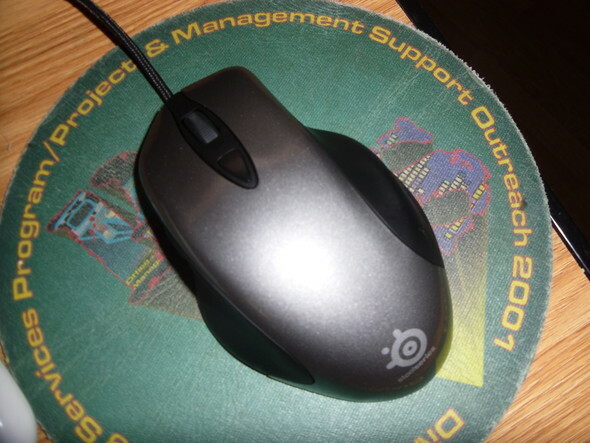 Mousepad: Qck mini or standard. I don’t have much room on my desk for a mousepad, especially if I get a keyboard that is at all wide. Monitor: Some 24” acer on newegg. But how big a difference is there between 22” and 24”? Should I get 24 over 22? Is the extra 40 to 50 bucks worth it? Keyboard: Well, I have never used a mechanical keyboard. So I’m hesitant to buy one without trying the switches. Ideally I like blues and I get the blackwidow, because I have a 50 buck giftcard to bestbuy, and it’s the only mech keyboard they sell. If I don’t like any of the mechanicals I’ll get a dt35 off ebay. If I like blacks I’ll get a 6gv2, and if I like browns….. dunno. Steelseries 6gv2 is definitely a good keyboard. The black switches are good because they can be completely silent as well as clicky clacky as the keys bottom out, so if you're in a house with other people you can do it quietly. If you go with the dt-35 I hope you get it pretty cheap. I heard its about $5 USD in Korea, but when foreigners ship it over its like $35+! Yikes, doesn't seem too worth it to buy a cheapy keyboard for that much. 22" monitors are mostly 1680x1050 with some 1920x1080 choices. 24" monitors are all 1920x1080 and 1920x1200. 2 inches isn't much, but the higher resolution is well worth 50 bucks. In other words, don't get a 1680x1050 monitor. The 1920x1200 monitors are nice, but they're dying off because manufacturers realized it didn't make financial sense to produce 16: 9 TVs and 16:10 computer monitors when they could make 16: 9 for both. SC2 was designed for 16: 9 anyway so no big deal. I wouldnt go with a 6gv2 keyboard, blacks are quite hard to press. I'm sure idra/incontrol only use it because of sponsorships. It's annoying to have to bottom out keys for them to actuate, and they dont get the nice clicky feel like blues and browns. I would recommend one of the leopolds with blues or blacks off the elitekeyboards site. They are the new filco's to speak. Or if you want to order local a Das with blues/browns is a good choice but it is a little more expensive. Perhaps look into a 120Hz monitor. Also quite worth the extra 50-70$. I don't think the DT-35 is really worth your money... honestly the only reason they cost $30+ here is that they aren't produced in the west and shipping + people jacking up the price because they know that there is a niche market for them in the west. Honestly, even in China, DT-35's go for ~$10 online. There is nothing special about owning a DT-35... get one if you can get one for cheap, otherwise buy a cheaper membrane keyboard or go all out and get a mechanical one. A lot of the pros (at least the ones that switched to SC2) have ditched the DT-35 in favor of a mechanical keyboard. Yeah. They are like 30 on ebay, and that still seems like a lot. Especially considering they are even more elsewhere.